Last week a new Hagström acoustic arrived from Sweden. Just like my 1975 Hagström B-60 this was made by Bjärton in the south of Sweden. Hagström / Bjärton guitars feels pretty different from Levin, a bit more boxy somehow, less refined. Having said that they are very well sounding guitars with a pretty unique tone, not quite the Gibson bass but that’s the best comparison I can think of. This Hagström Western 6 comes with more or less a Hagström Swede electric guitar neck. Same head shape, inlays and ebony fretboard, I love ebony. These actually came not only with ebony fretboard and bridge, they had ebony nut and saddle too. Mine has a rosewood bridge for some reason but it doesn’t seem to have been re-glued so I assume that someone at the factory took the wrong bridge or just preferred rosewood. Everything can happen in a guitar factory, hence all the mismatched mystery guitars that doesn’t exactly match the catalogue images. I really like this guitar, it looks awesome, sounds great and has something quite Swedish Country about it, a bit like me I guess. The guitar has quite a few battle scars, I presume it has lived through a Swedish midsummer or two. The head has been glued at some point, looks to have been done a very long time ago. There are quite a lot of scratches on the top and the back of the neck had some dents but I filled them so now you can hardly feel it. Notice the double sticker inside, one for Bjärton and then a Hagström on top. Specifications: Body width: 410 mm, body length: 510 mm, body depth: 120 mm, scale length: 630 mm. Spruce top with X-bracing, mahogany back and sides. 4-ply bound top and bound back. 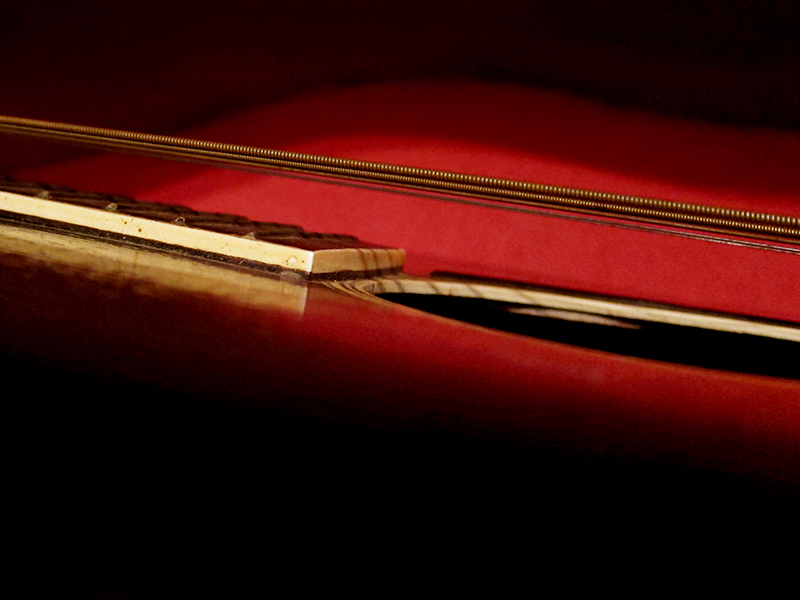 Unbound ebony fingerboard and ebony bridge, mahogany neck. Matte natural finish and 10 year warranty. 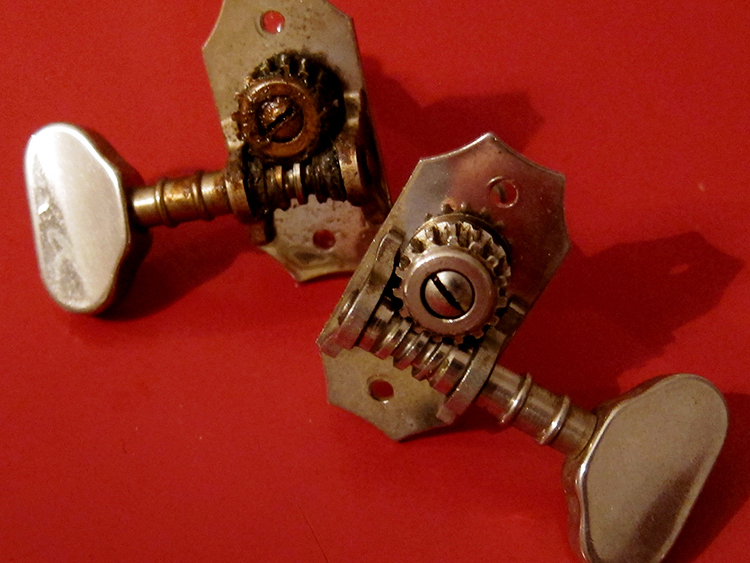 Offered in two versions: Fully acoustic (Western 6) or with pickup and controls (Western 6 EL). Marketed in Germany as Missouri. Introduced around 1977. 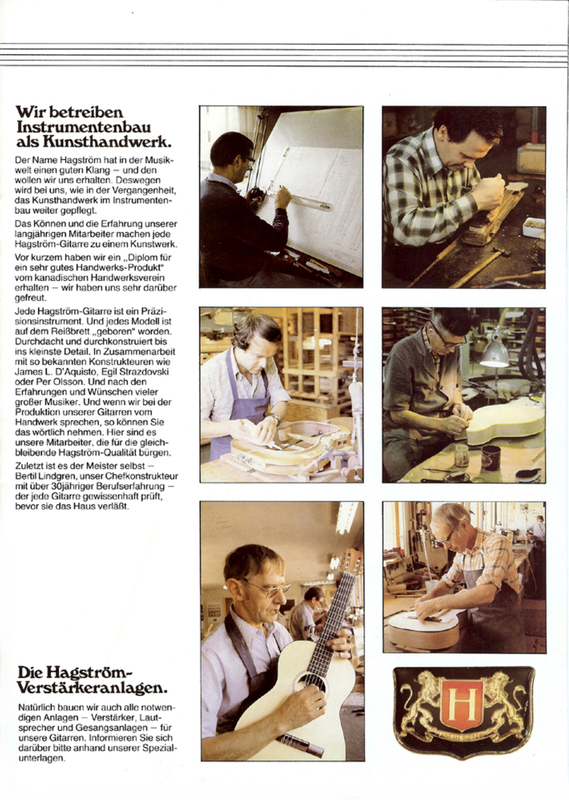 I guess people might have noticed that I’m quite obsessed with Levin guitars, but there are actually other Swedish guitar brands that I care about too, like Hagström Crafton, Bjärton and Lugnås. I recently found my first steel string Bjärton, I have had a nylon string since my mid teens but never actually played on a steel string Bjärton until now. This is an awesome looking Hagström B-60 or Bjärton B-60 as it was called in Sweden, it’s the same guitar but since Hagström was more famous abroad they used that name for the export models. They were built by Bjärton in Bjärnum in the south of Sweden. 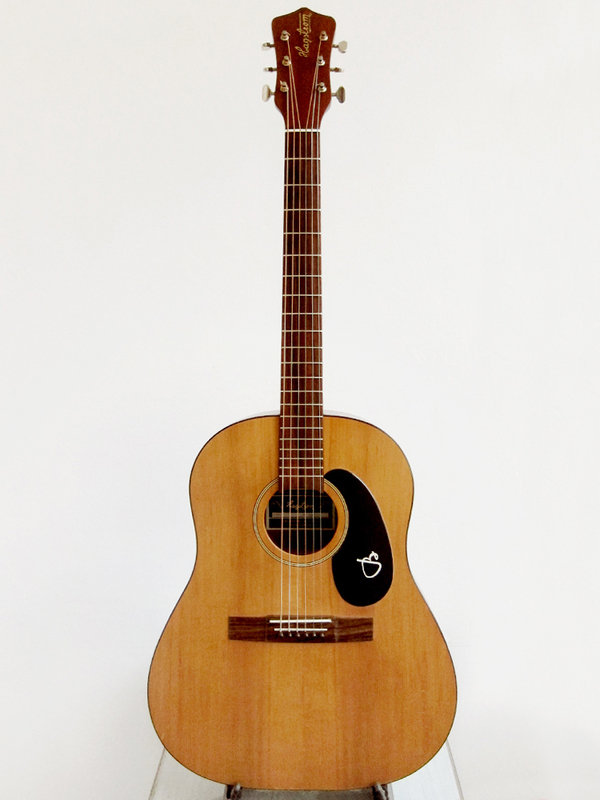 It’s a pretty great guitar, loosely modelled on a Gibson J-50, Bjärton made a legendary Gibson J-45 copy in the Sixties called Hagström H-45 or Bjärton J-45 which was used by David Bowie and a lot of others. 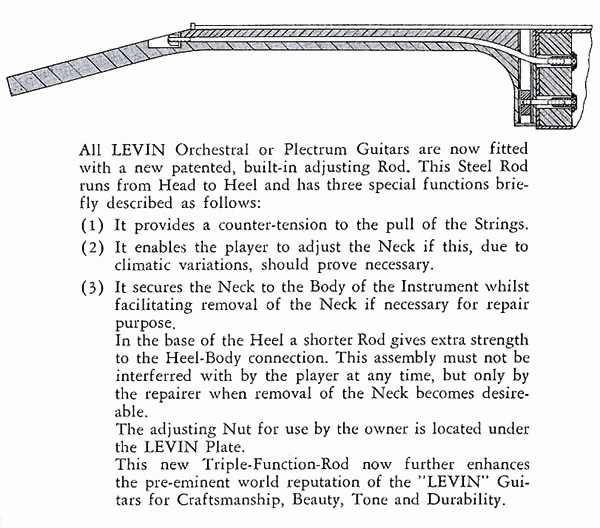 That model came with or without factory installed pickup and they even made a 12-string version. This Hagström B-60 is slightly more modest and looks pretty basic. It’s a nice sounding guitar, even though it has a bolt-on neck which should kill the tone completely, I guess the solid woods and massive neck block is helping with the sound. My main challenge was to try to get the Van Gent machine heads clean. The guitar smells like it has spent the past 40 years in the company of an old pipe smoker so I assume that’s actually tar and nicotine that has built up over the years. I’m an old ex-smoker myself so to me it smells like pure heaven. I’ve been very lucky and managed to get my hands on a couple of really nice Levin and Goya guitars over the last year. I would probably have thought twice about getting any random 50 years old acoustic since the action is normally a bit of an issue but with Levin it’s quite easy to reset the neck. They have been using a bolt-on neck system since the 1950’s which makes the job pretty manageable. Remove the two bolts that attach the heel with the neck block, you can see them if you look inside. A normal Philips no 2 screwdriver fits if you don’t have a square Allen key. The heel is normally not glued in so you will feel it loose as soon as you remove the bolts. If not, apply a bit of pressure upwards to loosen the heel. Now you will be able to fit a sanding strip under the heel and can start to sand it down and that way change the neck angle and lower the action. Apply a bit of pressure on the neck and just pull, it might take 40-60 pulls on each side so so be patient. Check the neck angle with a straight edge once in a while so you don’t take it too far. As long as the straight edge doesn’t go over the bridge it should be fine. 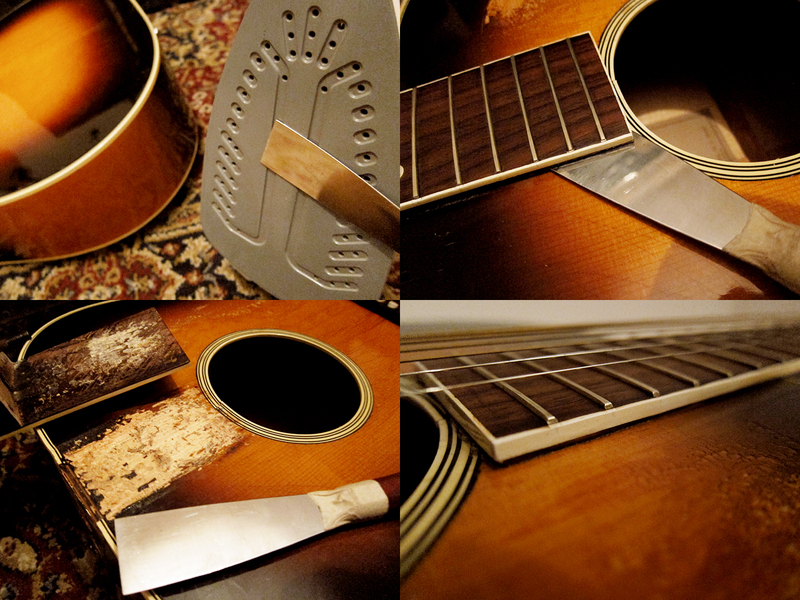 I have done the sanding strip trick on two guitars so far, my Goya T-18 and a Goya 163. On my Levin LM-26 I felt it was better to remove the whole neck so that made the sanding process even easier. Update: January 27, 2014 I needed to sand down the heel a bit further on my Goya Model 163 and realised that the fretboard started to come loose. It looked and felt just like the bridge, like the glue had dried up and started to crack and fall apart. I tried a new trick that I learned on Youtube, to heat up the spatula instead of heating the neck, like a did on my Levin LM-26. My God, this was so easy and quick, I think it took me 7 min to remove the neck. When I had sanded down the heel a bit further I glued the neck back with some fish glue and a couple of clamps.